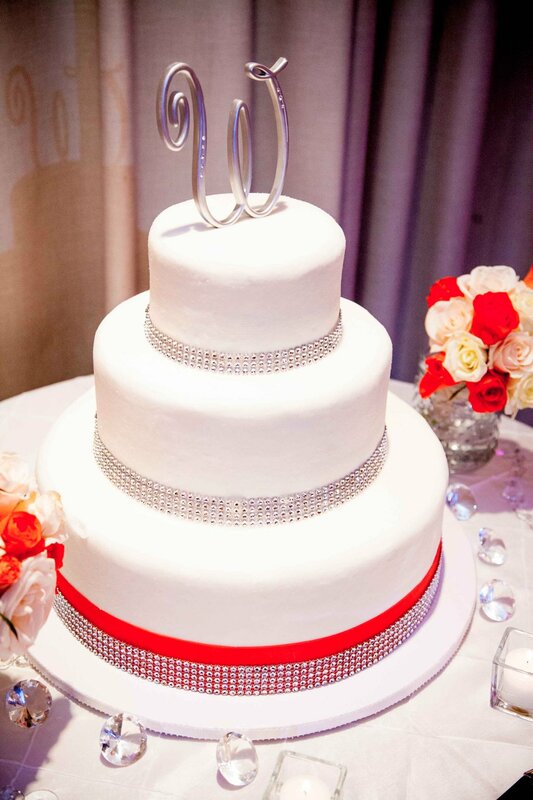 A focal point of every reception, the wedding cake. 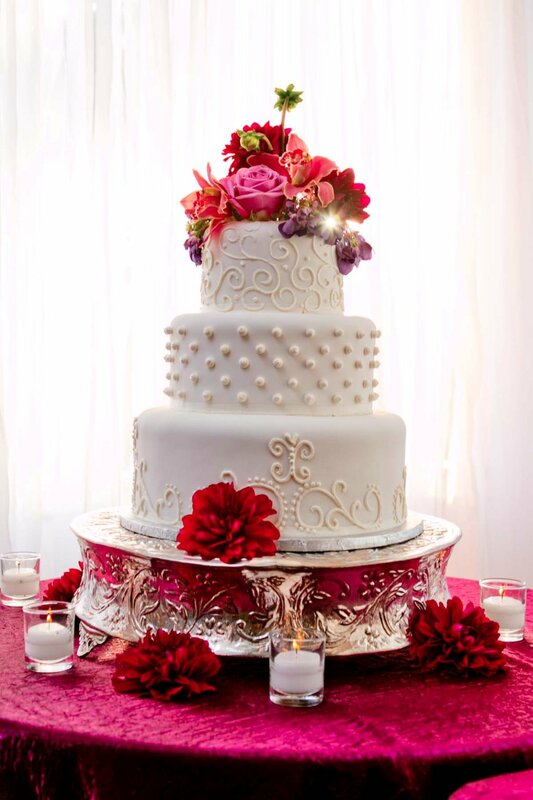 Brides are not only pressured to create a beautiful cake design that flows with the decorations at their wedding reception, but also a delicious one that their guests will love. 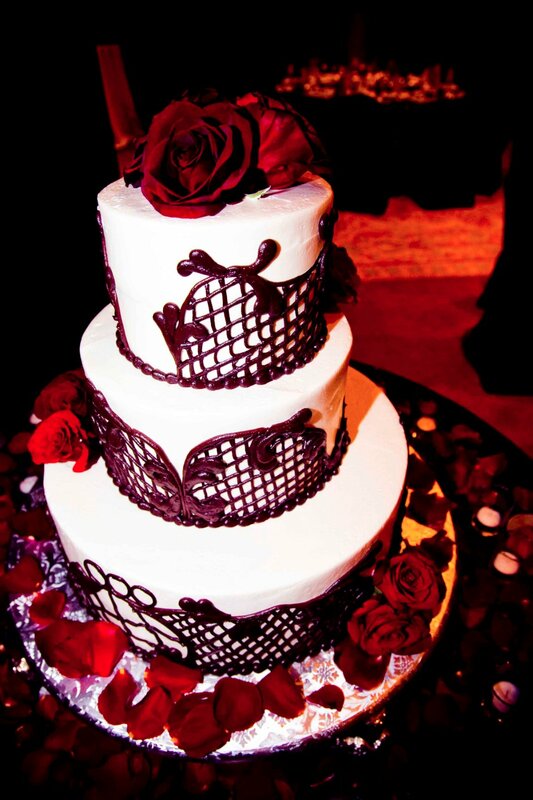 Wedding cakes come in all different shapes, sizes and colors, each totally unique. That's the beauty of it all. 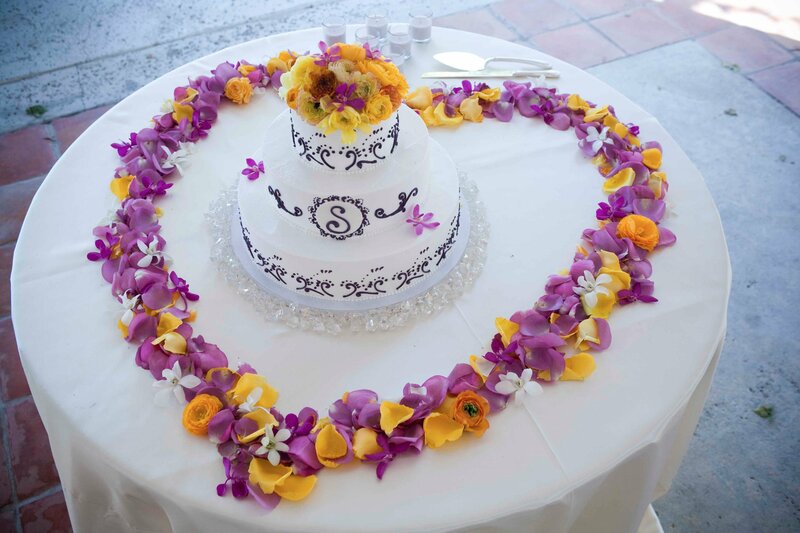 Every bride is able to take her vision and with the help of a talented baker, take a bowlful of ingredients and create a masterpiece. 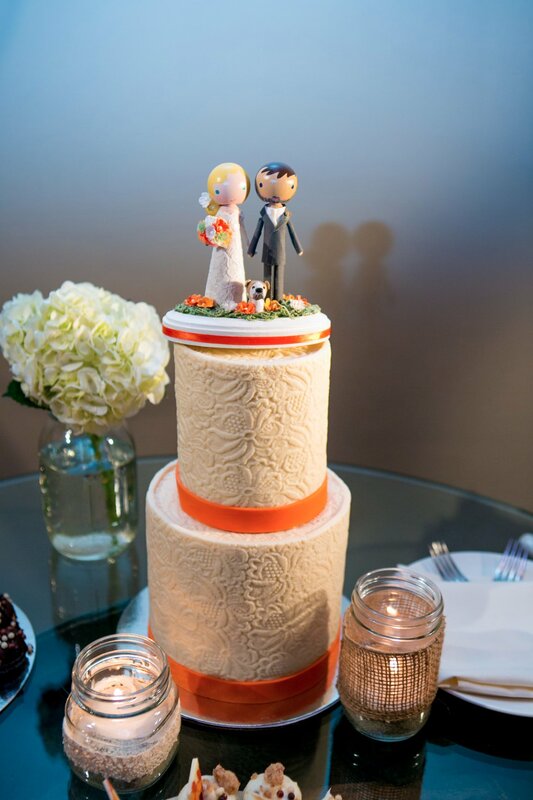 After everyone has checked out the beautiful cake, it is time for the newlyweds to slice off a piece and get the party started. Over the years I have seen many different approaches to the traditional first bite. Whether the first bite gets smeared on their faces or delicately placed each other's mouths, it's always a special moment. 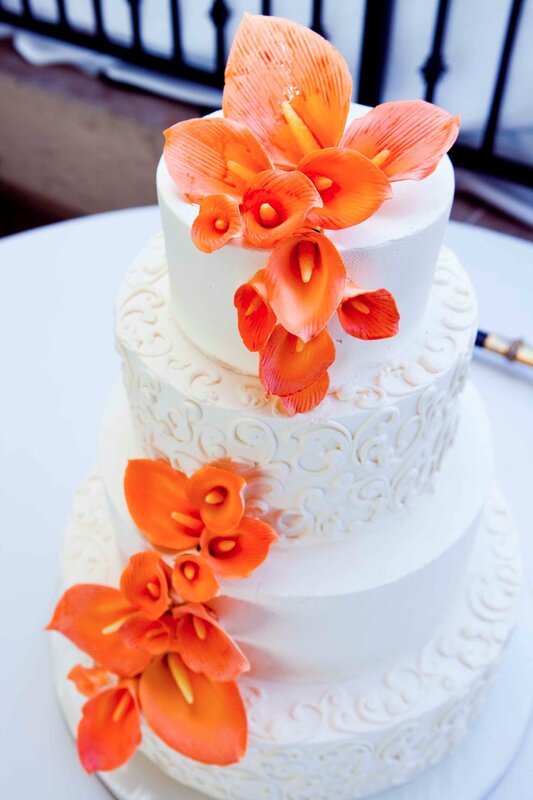 Today, I am sharing a wide variety of wedding cakes that I have photographed over the years. I hope you enjoy! 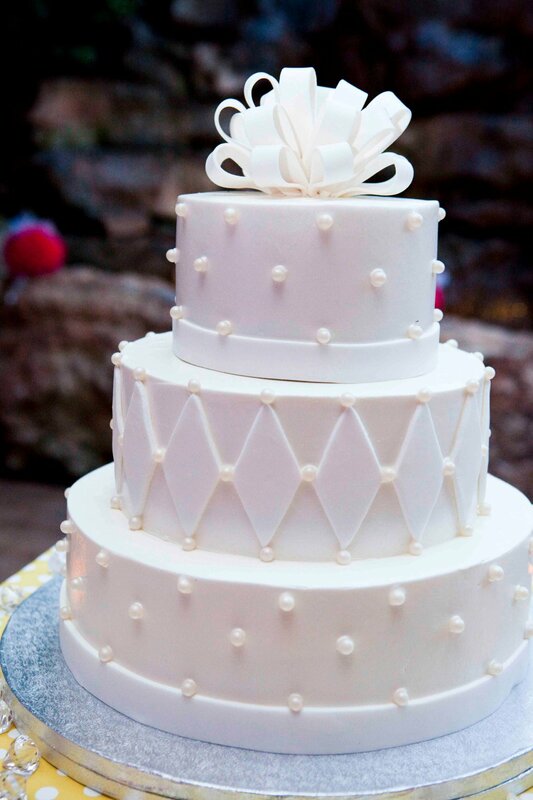 Starting with these all white wedding cakes, they are a beautiful and modern take on the classic wedding cake. 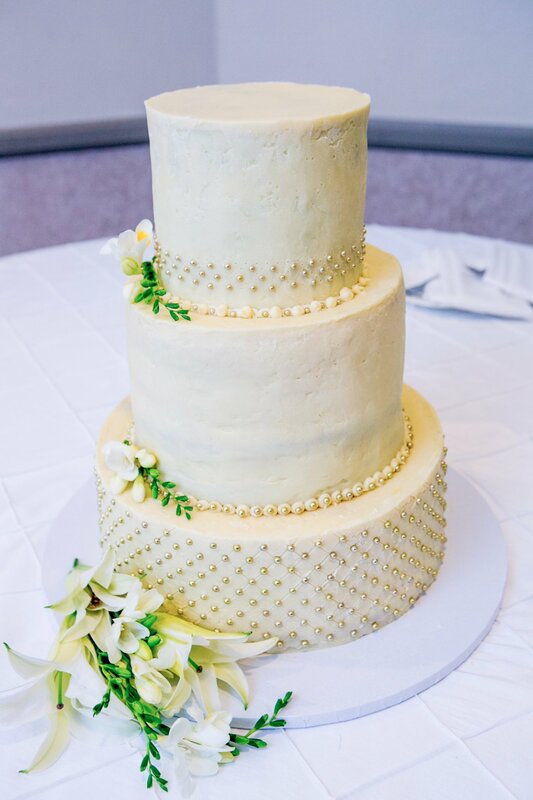 With simple embellishments, whether in the fondant or icing, these cakes stand the test of time and will look classic forever. 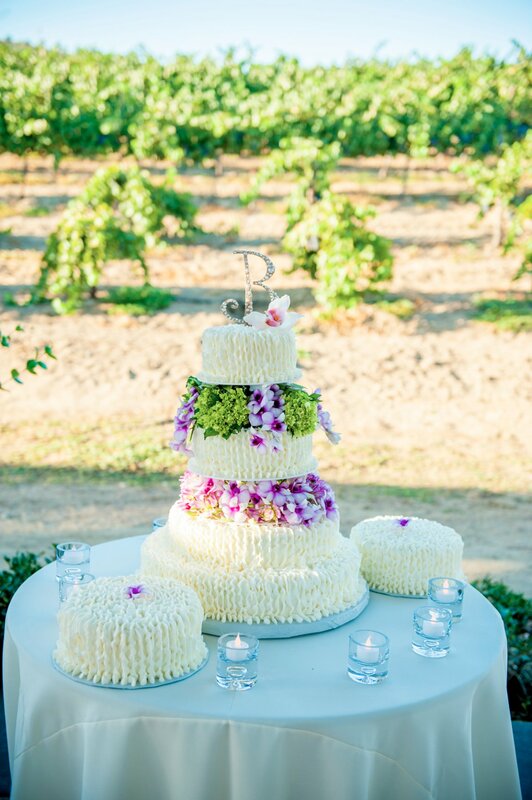 These wedding cakes start with the classic white base and are customized to the bride's color palette and decor with their simple decorations. 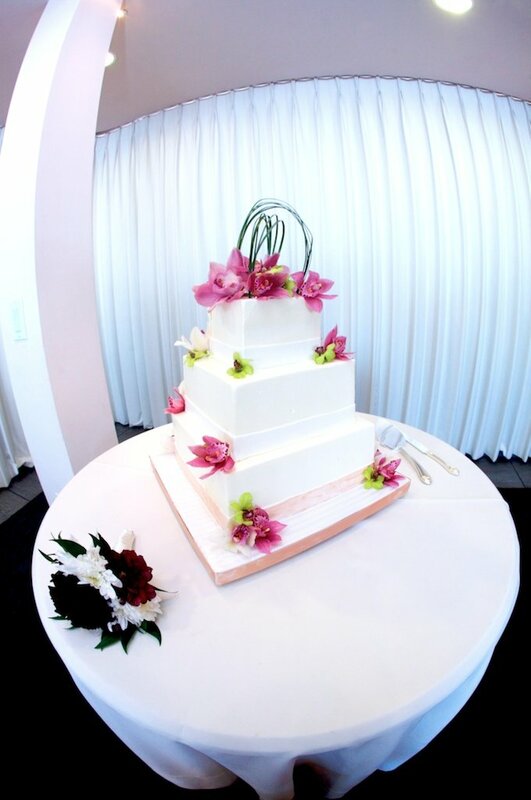 Starting with the simple cake keeps the timeless feel and adding fresh flowers gives a pop of color and excitement. 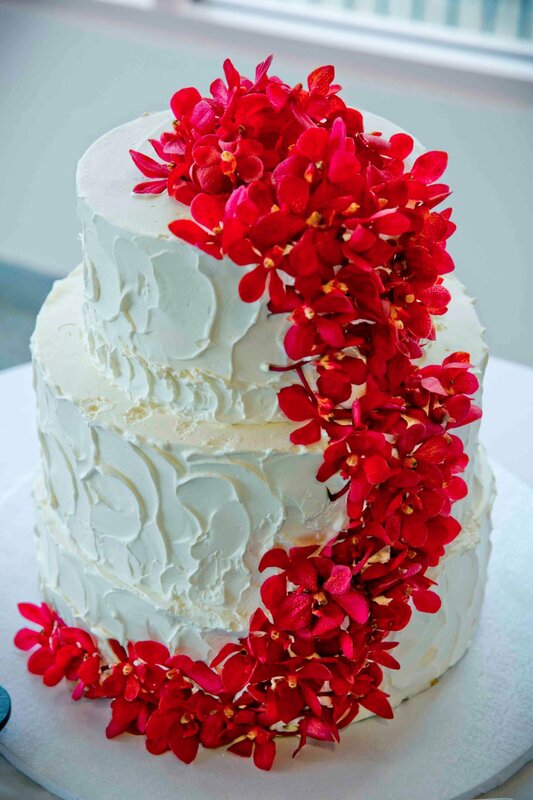 Often nowadays the white icing on the cake takes a great texture, either piped on or in the way it was iced. 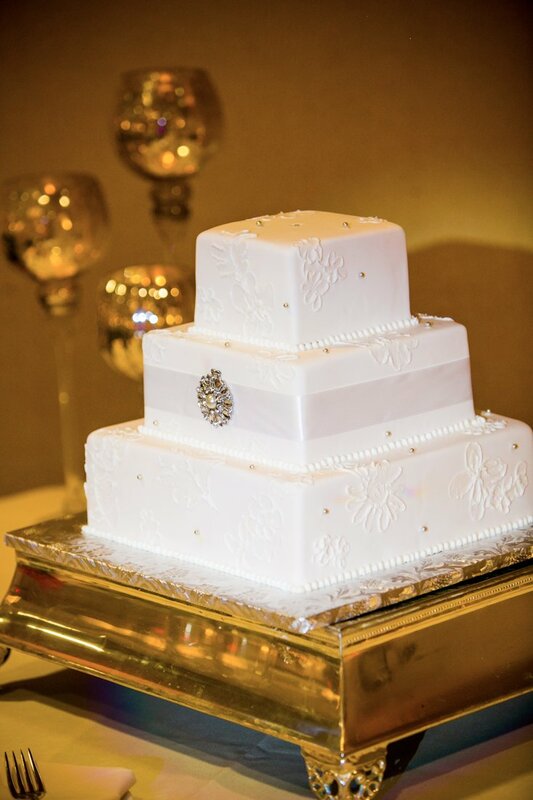 The wedding cakes above have a tasteful touch of glam. 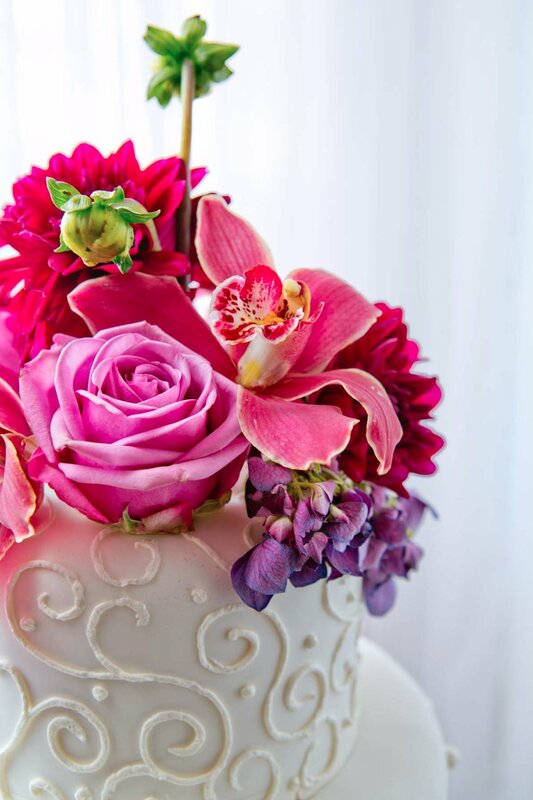 They are unique to the bride's great taste and definitely showcase her personality and style. These two are very different, one is very simple with rhinestone embellishments and the other very romantic with the dark red rose and lace piping detail. 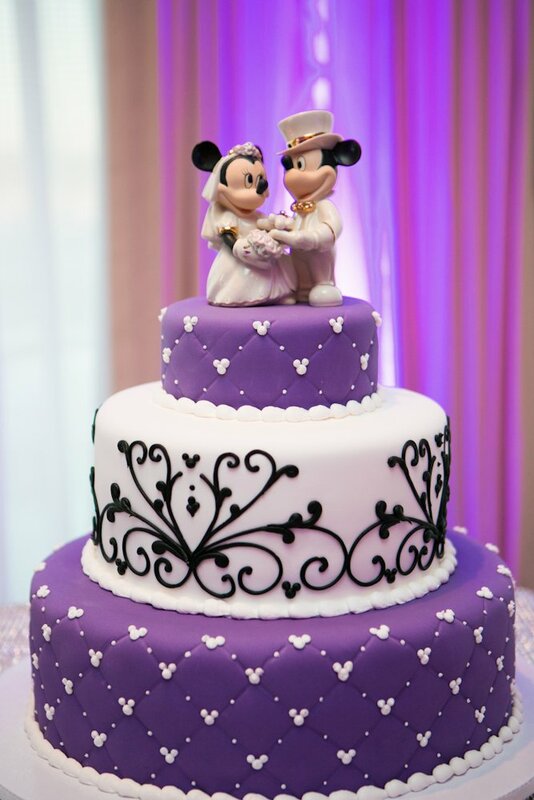 Disney themed weddings are always a big hit. 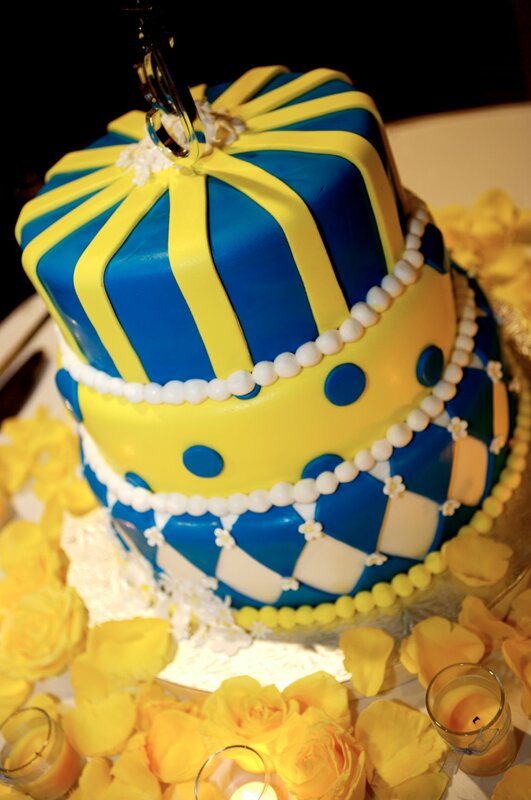 I love these two cakes because they represent the Disney theme but are not over the top about it. The piping has hidden symbols and they are both colorful and playful yet restrained at the same time. The three cakes above, all are very different. 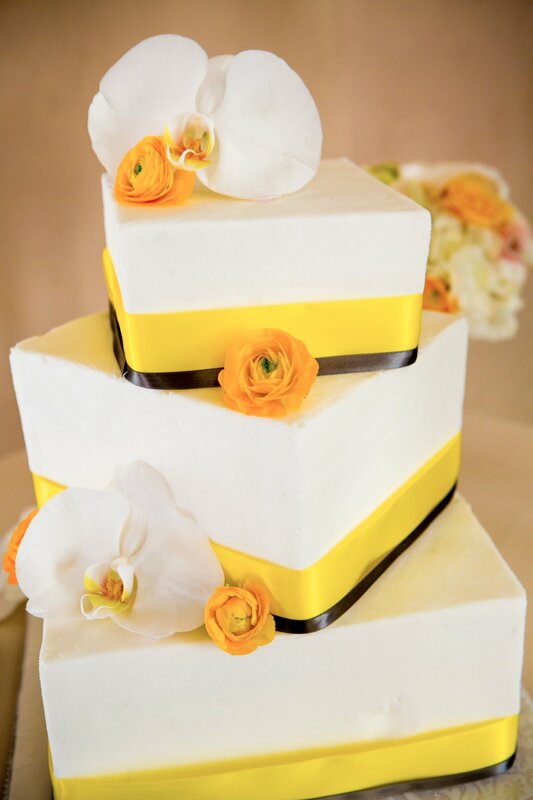 The first was a perfect fit for a East meets West wedding, keeping the classic wedding cake shape while using the bold colors from the traditional Indian dress the bride wore. 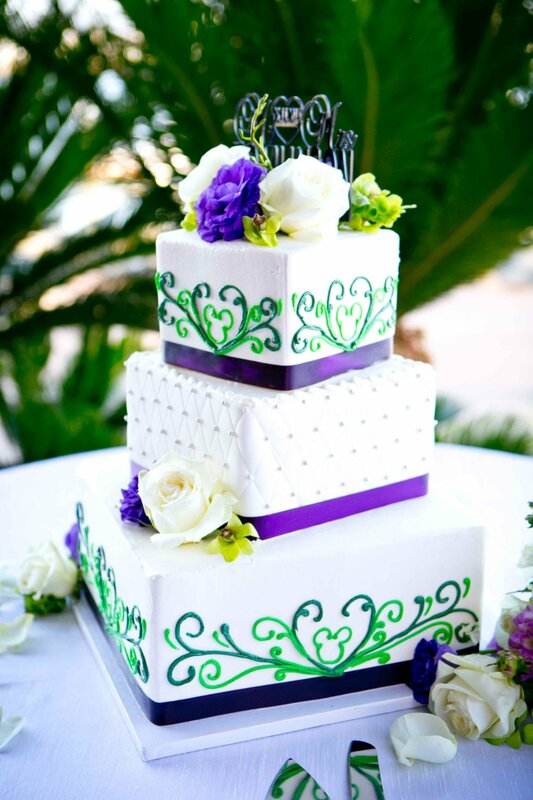 The second is a playful, fun and very colorful cake, great for a pop of color at the reception. 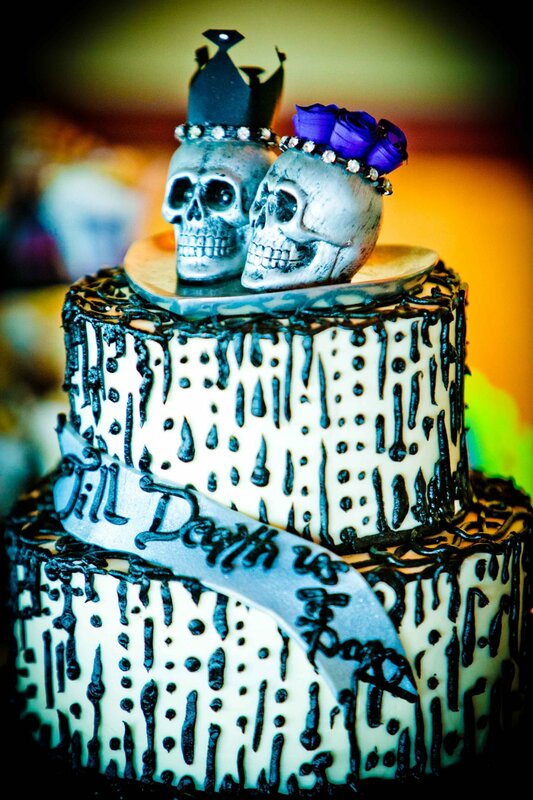 The last of the three was from a recent wedding, this "Till Death do us Part" cake was complete with a totally unique skull topper was a real showstopper! 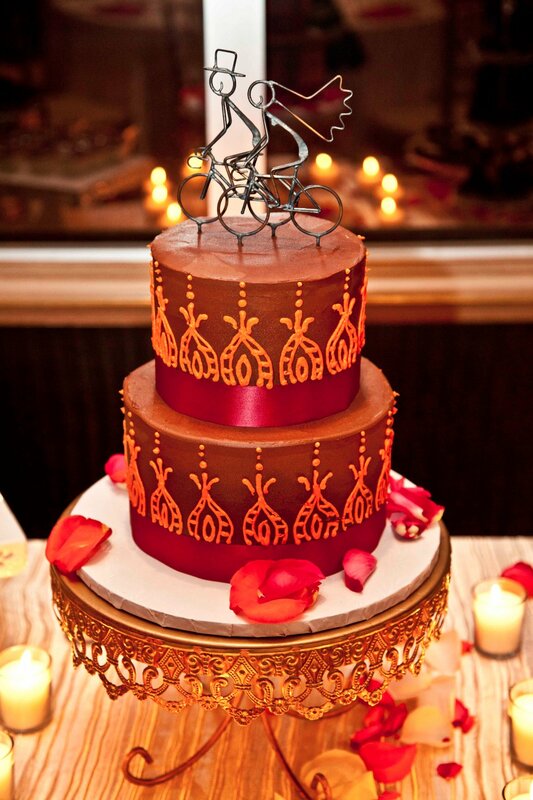 Many of the cakes previously mentioned also have very unique, custom toppers but I wanted to draw attention to these two also. 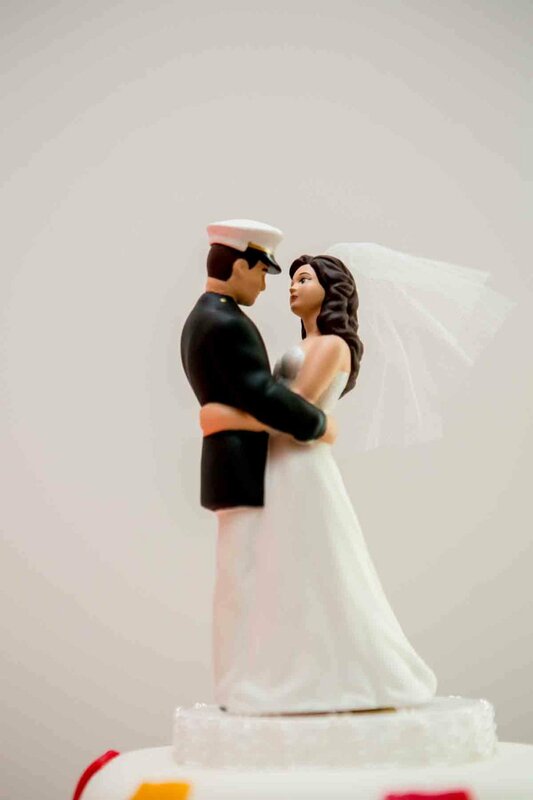 I have shot many military weddings, being based in San Diego, and I really thought this topper was perfect. It showcases the groom's military involvement perfectly. The second everyone also fell in love with. 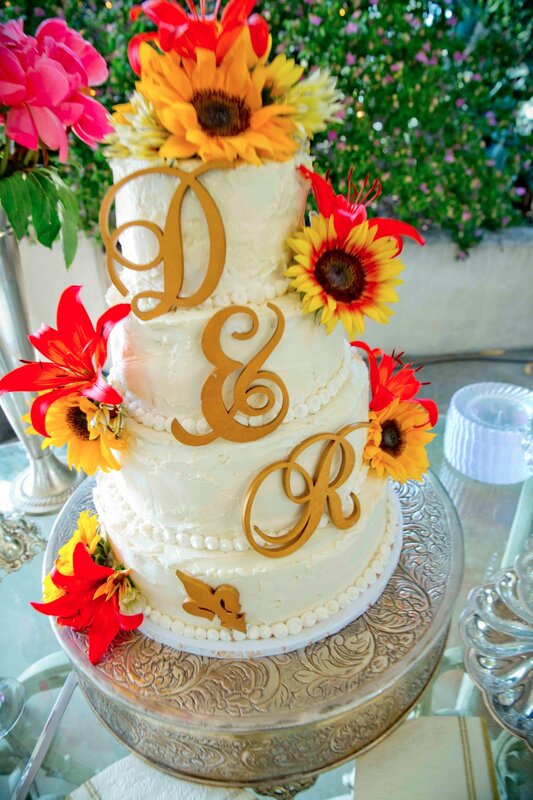 A hand painted topper that matches their day of outfits perfectly and captured the couple's style.